My STEP Signature Project was The U.S., Europe, and World War II- Interactions in 20th Century History Study Abroad Program, also referred to as the History of World War II (WWII) Study Abroad Program, which I participated in with 23 other students during May 2018. This program allows Ohio State students to travel to London, England; Normandy, France; Paris, France; Krakow, Poland; and Berlin, Germany in less than a month in order to see various World War II-related sites and museums across Europe. As a class, we engaged ourselves with the historical material at these places and had conversations about what we were seeing in relation to what we learned in the two classes we took during spring semester. I have friends that have traveled abroad and told me that it changed their life; however, I never fully expected the ways in which it changed me. Before completing my STEP Signature Project, I had concerns about adapting to another country and finding my way around in unfamiliar surroundings. By the end of the History of World War II Study Abroad Program, I gradually felt more relaxed about getting lost, instead embracing the idea of wandering around unfamiliar places with my fellow classmates. I also assumed that I would get to know my fellow classmates, but I underestimated how my relationships with them grew and developed so quickly and strongly. As for my view on the world, I also did not truly internalize how different the rest of the world was from the United States, and my views of other countries and ideas expanded. I had believed that I would go to these countries and hear other countries’ perspectives of WWII, having a little preparation on what each of their histories would focus on before going. I did not realize the extent of details on different aspects of the war rather than others based on each country in the program. In my life, I have never traveled outside of the country, so many cultural difficulties that occur when people travel or move internationally was something I had never experienced. One of the first changes I underwent during my STEP Signature Project started when I learned how to be more relaxed and independent even in strange surroundings. I do not speak a second language fluently, which quickly became a real problem once we entered the ports of France. I did not truly realize how tough it would be to communicate my needs and wants with local people due to language barriers and cultural differences. It was the biggest issue for me on the Normandy leg of the trip, the first place where English was not the primary language. In the town of Bayeux, which is the actual town in Normandy we stayed in for six days, very few people actually spoke English. I could not read the menus or street signs and blindly wandered around except for the occasional times I was with someone who spoke French. The quaintness of the town, as well as staying there for the longest period of time of any other location on the study abroad program, helped me gradually assimilate into the feeling of not knowing everything about where I was going or what I was doing. Eventually, I understood words and basic phrases and could use body language to attempt to communicate. I have an even greater respect for people who can speak multiple languages and helped me on my journey, both members of my class and local inhabitants of the cities I visited. I wished I had a stronger understanding of other languages and that, as it seems more normalized internationally, wished there was a stronger emphasis on American students becoming at least bilingual during their education. Outside of Bayeux, many people I encountered in public could speak English as well as Polish or German. As we kept moving through new places, where I saw and heard new foreign languages, it gradually became less burdensome to readjust to a new culture. I even enjoyed the unfamiliarity more and more as time progressed during my STEP Project. Another transformation about my world views for the better stemmed from a newfound vision and understanding of historical events. I learned how to observe history through a critical and multicultural lens. While the other students and I had extensively studied American versions of WWII, we had also prepared for the potential contradictions and varied viewpoints of the same events we had studied for months. In France, we confronted a nationalist history, one that showed France as the true hero of WWII when they remained under Nazi control for most of the war. In a world where I had only experienced how the U.S. interprets historical events, it dawned on me that what we read in French museums was what French students learned about WWII. I began to rethink what I learned, piecing together why French historians tell this version of the war for their people and how the U.S. also tells their own biased versions of historical events. Another example of undergoing this transformation occurred while I was in Berlin. I never expected how much Germany had come to terms with their past in WWII, sharing very matter-of-factly how the Nazis came to power and used terror, even devoting a whole museum to this part of WWII and German history. The entire study abroad program that I went on focused on WWII, and we spent a great deal of time as a class discussing the differences between the United States’ retelling of it and other countries’ retellings of it. Specifically, the rest of the students and I realized that there was contradictory information surrounding certain events or details that as students we never learned about in previous history classes and their WWII lessons. The introduction of this information challenged me and my peers to determine what the truth was and see how other countries viewed the United States in this subject. I believe that it was much more beneficial to see in the world’s WWII history in person rather than simply reading other countries’ histories and experiences in a classroom setting in the United States. After the STEP Signature Project, my abilities as a student transformed in checking for bias and taking on different perspectives to understand the full story of topics that come up in my studies beyond WWII. My third transformation comes from my classmates. I took classes with the students on the trip prior to leaving for Europe, but none of us knew each other very well. By the end of the program, we were all very close. We spent less than a month together, but all of our time traveling throughout this time period meant that we spent a lot of time trying to get to know each other. 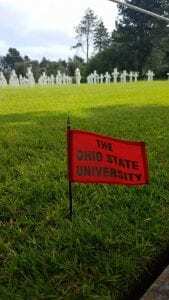 Going to Ohio State, I have surrounded myself with friends that are mostly in the STEM fields and do not often share any passion for history. It was so refreshing and different involving myself in this program, because for once I could talk about history with people who were also fascinated by the subject as well. 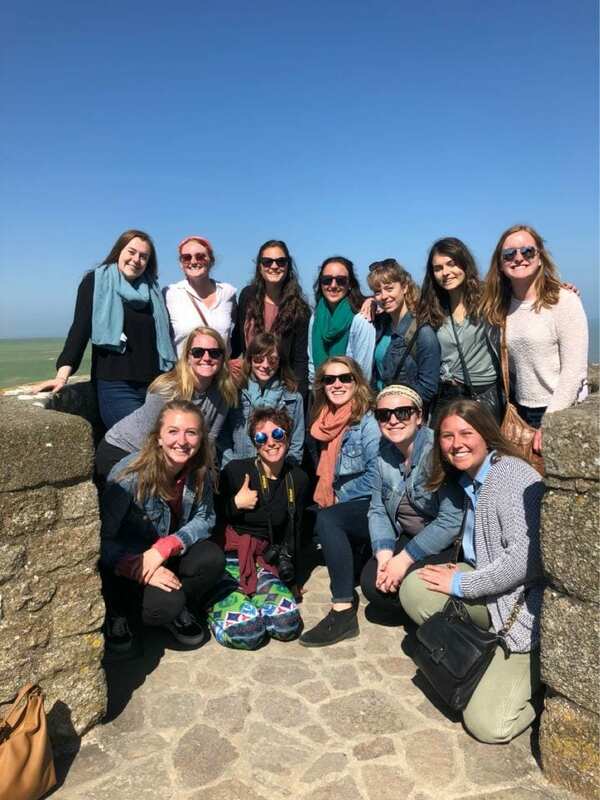 The students on this study abroad program were all incredibly intelligent and together, we took in the sites we saw and had conversations about WWII and other topics that helped us understand each other’s backgrounds, beliefs, values, and expertise much more. Each of these people on the study abroad program changed me simply because I got to meet them, but also through offering ideas and perspectives I had never thought of or understood before. These changes I experienced in the History of World War II Study Abroad Program made me a better historian and a better individual. I had the opportunity to see so many different places and got a chance to live in five cities over the course of a month, something that few people can say they have done. As a history major, I believe this trip was important for my knowledge of history overall and helped me develop an expertise on WWII. For myself, becoming a stronger student will help me in my future career in the education field. With the STEP Signature Project, I got to meet other Ohio State students with different backgrounds and beliefs that had very intelligent conversations with me about the themes and facts we encountered while studying abroad. I learned a lot about my own strengths and weaknesses when in a new place and I learned how well I could adapt and be independent. I am happy that I chose the History of World War II Study Abroad Program as my STEP Signature Project. Posted by husk.18 at 12:29am November 9, 2018 Bookmark the permalink.